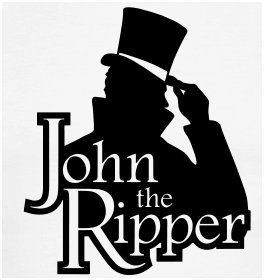 For those of you who haven’t yet heard about John the Ripper (hereby called John for brevity), it is a free password cracking tool written mostly in C. Before going any further, we must tell you that although we trust our readers, we do not encourage or condone any malicious activities that may be performed using this tool or any other tools we talked about in the past. Security-related tools are often like a double-edged sword, in that they can be used for good but also for bad things. So although it might sound tempting, we recommend you to refrain from any damaging activities, if for nothing else, just because you have great chances to land in a jail cell. This article will deal with John from a system administrator’s perspective, so we expect you to have intermediate knowledge about your Linux system, whatever distribution that may be, and that you are a security-conscious person with basic security knowledge. However, this article might appeal to you also if you are a home user wanting to learn about these kind of things, but be warned: some of the commands presented below will ask a great deal of your CPU time, so maybe it would be better if you had a test machine and/or lots of time and patience, because password cracking attempts may take days, even on a relatively new machine. As usual please refer to our new Linux Forum for additional help or information. Although, at least on the distributions we tried, the package in named simply “john” with Gentoo making an exception and naming it “johntheripper”, we will make it easy for you and show you how to install it on several known distributions. Although there doesn’t seem to be a john package in the official repositories, there is a slackbuild that gets John installed on your system (this was tested on Slackware 13.37). You need not worry about cryptic configuration files, as John is ready to use with the appropriate command-line flags with no other effort on your part. One word of warning, though: as you already noticed, we tell our readers when they should use root privileges and when they shouldn’t. Except when noted, you are strongly recommended to use your normal everyday user (or another, if you prefer, but it shouldn’t have super user rights). On my Debian system, John is available as /usr/sbin/john, so if you don’t find it we recommend you use whereis and type the whole path when running john unprivileged (or you can simply create an alias). We must repeat our warning: password cracking is a CPU-intensive and long process, so depending on your system, that might take quite a while. However, this also depends on what you want to achieve, because if your powerful CPU has been crunching at the password(s) for days with no outcome, it’s only safe to say that it’s a good password. But if the password is really critical, leave the system until John finishes its’ work to make sure everything is alright. Like we said before, this could take many days. John will try single crack mode first, then wordlist mode, then incremental. In John’s terms, a mode is a method it uses to crack passwords. As you know, there are many kinds of attacks: dictionary attacks, brute force attacks, and so on. Well, this is roughly what John’s modes are. As some of you might have realized, wordlist mode is basically a dictionary attack. Besides these three modes enumerated above, John also supports another one called external mode. You can select what mode to use with, for example, –single, –external and so on. We recommend you check out the documentation over at openwall.com for a good but brief description of every mode. But of course we will tell you, in short, what every mode does. John the Ripper’s documentation recommends starting with single crack mode, mostly because it’s faster and even faster if you use multiple password files at a time. Incremental mode is the most powerful mode available, as it will try various combinations when cracking, and you can choose what kind of mode (mode applied to the incremental option) to use, including your own. 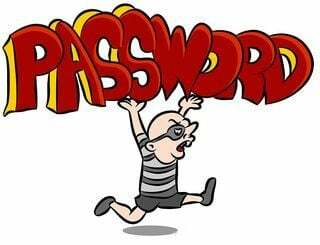 External mode, as the name implies, will use custom functions that you write yourself, while wordlist mode takes a word list specified as an argument to the option (it can be a file with a list of words written one per line, or stdin) and tries a simple dictionary attack on passwords. Of course, this isn’t a replacement of John’s documentation. Although, as we said, it doesn’t offer a manual page, you will find lots of documentation on its’ page, as well as a useful wiki. For example, you will notice that even if you’re running John on a multiprocessor machine, it will use only one core, usually the first. You can address this problem by reading the documentation and following the instructions there.